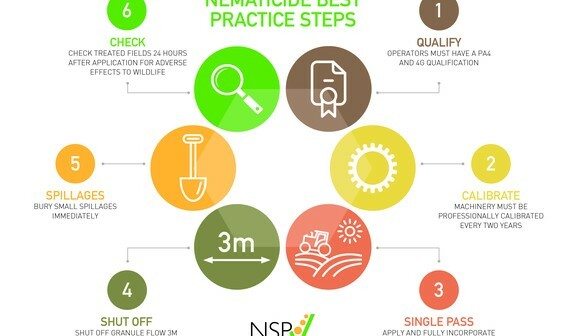 Potato growers are being reminded to follow the best practice granular nematicide use protocol this spring to ensure products are used safely and effectively. 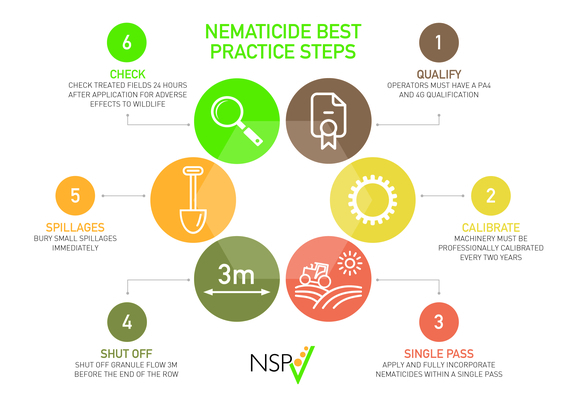 Nick Winmill, potato technical manager at Agrii and member of the Nematicide Stewardship Programme (NSP), urges growers to visit the NSP website to brush up their knowledge on best practice application of granular nematicides before planting. “There are a number of key steps which growers must follow to ensure they’re protecting the operator, environment and consumer,” he says. These include ensuring your operator has the right qualifications and PPE, machinery is calibrated and fitted with a device which allows granule shut off, spillages are dealt with properly and nematicides are applied and incorporated in a single pass. The full protocol can be found by visiting the NSP website: nspstewardship.co.uk/.